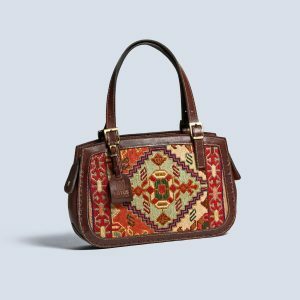 Combining vintage stylishness and practicality, this shopper tote is made from authentic Kilim and genuine cream leather. Designed for on-the-go elegance, it’s the perfect all-round bag—durable, lots of room, and eye-catching. Stand out of the crowd! 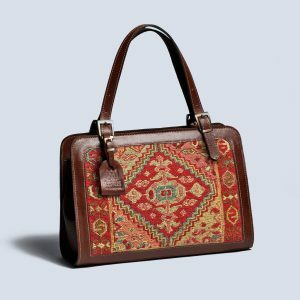 This versatile leather and kilim (Suzani) tote bag has been crafted by masters of the art of kilim. Suitable for everyday use or something more formal!